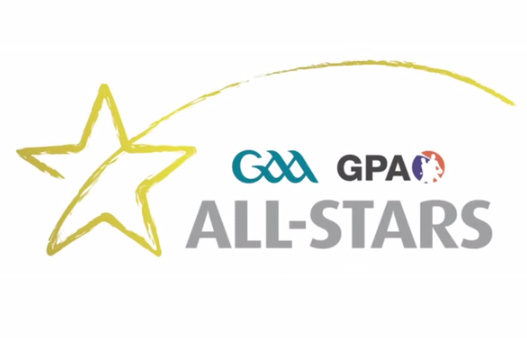 Mayo have amassed a total of 48 All-Stars since the scheme was officially initiated in 1971. Johnny Carey from Bangor, then playing with Tuam Stars, made the very first team at right-full back. The most recent winners were in 2017 when David Clarke, Chris Barrett(first award), Keith Higgins, Colm Boyle, Aidan O'Shea and Andy Moran all picked up awards. 2017 also saw Andy Moran named GAA/GPA Footballer of the Year. Westport's Lee Keegan is now Mayo's most decorated winner with four awards after wins in 2012, 2013, 2015 & 2016. He has been selected at right-half back on every occasion. He was also named GAA/GPA Footballer of the Year in 2016. Keith Higgins & Colm Boyle also both have four awards. Ballyhaunis clubman Keith Higgins was selected in 2012, 2013, 2014 and 2017 while Colm Boyle has been rewarded with his excellent displays in 2013, 2014, 2016 and 2017. Breaffy's Aidan O'Shea has three awards to his name, while Willie Joe Padden, Dermot Flanagan, Kenneth Mortimer, Alan Dillon, James Nallen, James Horan, David Clarke & Andy Moran are the Mayo players who have been selected twice. Cillian O'Connor was twice named Young Player of the Year winning the award in successive years, 2012 & 2013. His brother Diarmuid O'Connor won the same award, winning it in 2015 and again in 2016. 1971: Johnny Carey (Right-Corner Back). 1979: Joe McGrath (Left-Full Forward). 1985: Dermot Flanagan (Left-Corner Back), Willie Joe Padden (Midfield), Kevin McStay (Right-Full Forward). 1989: Gabriel Irwin (Goalkeeper), Jimmy Browne (Right-Corner Back), Dermot Flanagan (Left-Corner Back), Willie Joe Padden (Midfield), Noel Durkin (Left-Half Forward). 1993: Kevin O'Neill (Right-Half Forward). 1996: Kenneth Mortimer (Right-Corner Back), Pat Holmes (Right-Half Back), James Nallen (Centre-Half Back), Liam McHale (Midfield), James Horan (Left-Half Forward). 1997: Kenneth Mortimer (Right-Corner Back), Pat Fallon (Midfield). 1999: James Horan (Left-Half Forward). 2006: Alan Dillon (Left-Half Forward), Conor Mortimer (Right-Full Forward). 2011: Andy Moran (Full Forward). 2012: Ger Cafferkey (Full Back), Keith Higgins (Left-Corner Back), Lee Keegan (Right-Half Back), Alan Dillon (Centre-Half Forward). 2013: Keith Higgins (Left-Corner Back), Lee Keegan (Right-Half Back), Colm Boyle (Left-Half Back), Aiden O'Shea (Midfield). 2014: Keith Higgins (Left-Corner Back), Colm Boyle (Left-Half Back), Cillian O'Connor (Right-Corner Forward). 2015: Lee Keegan (Right-Half Back), Aiden O'Shea (Full Forward). 2016: David Clarke (Goalkeeper), Brendan Harrison (Right-Corner Back) Lee Keegan (Right-Half Back), Colm Boyle (Centre Half Back). 2017: David Clarke (Goalkeeper), Chris Barett (Right-Corner Back), Keith Higgins (Left-Corner Back), Colm Boyle (Right-Half Back), Aidan O'Shea (Centre-Half Forward), Andy Moran (Left-Corner Forward).